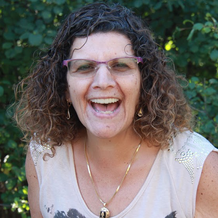 Robi Sapir has been dedicated to Givat Haviva's Children Teaching Children program since 1995, and manages the program in the high school on Kibbutz Maanit, where she lives and works. 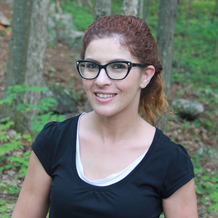 She believes that this program provides her students knowledge about Israeli society as a whole, and acceptance of the other. She hopes to continue guiding Jewish and Palestinian Israeli teenagers as a part of this mission for many years to come, and to continue educating about human rights and equality for all. Samira is a teacher and a group facilitator for the 2018 Cohort of Heart to Heart. She believes in equality, social justice and acceptance of the other in order to build a shared society. 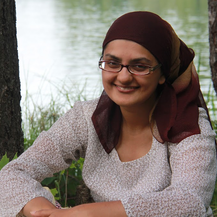 Fatima Ahmed has studied towards a BA in Peace and Conflict Studies at the University of Waterloo. During her career, she has been fortunate enough to work in places like the Canadian Arctic, Vanuatu and Botswana and has completed academic exchange in Sweden. Her community involvement has varied from volunteering and organizing at the grassroots level to serving as steering committee members for regional and national committees. Originally from Thornhill, Ontario, Aaron lived for two and a half years in Israel following his undergraduate studies. He returned to Toronto to pursue an MFA in Film Production at York University. Aaron enjoys photography, vegetarian poutine and looking at maps. Maya is thrilled to join the Heart to Heart team, after admiring the program for years. She is a health student completing her Masters at Dalhousie University. Before her masters, she spent many summers as a camper and staff member at Camp Shomria. There she learned to be a powerful, well-spoken, empathetic, critically-thinking leader, and taught a multitude of ages how to be the same. She now turns her focus to the generation of youth that will go on to make changes in their communities back home. Mohammad was born and raised in Bethlehem city. He earned his undergraduate degree in Geography and Urban Studies, a minor in Earth and Environmental Science from Al-Quds University in Jerusalem. He is passionate about peace building, social change, and an active person in his communities. He was the Head of his village youth council, afterwards participating in the New Story Leadership program in Washington D.C. There, he improved his leadership skills and storytelling in addition to public speaking. 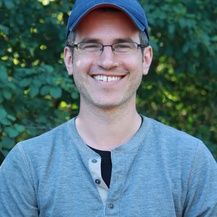 Later on, he joined the Arava Institute for Environmental Studies, where he did his internship in the Center for Trans-boundary Water Management. He worked on a cooperative agricultural development project between Palestinian-Israeli communities to improve the income inflow and economy. He also participated in a project for building long-term cross-border environmental agreements between Palestine, Jordan and Israel to foster environmental sustainability in the region. 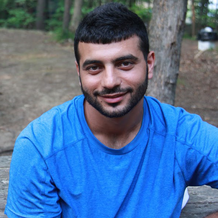 Mohammad has worked on many different youth projects, such as the youth achievement project and multiple other summer camps. He is very eager to follow his goals as one of the counselors for this summer at Camp Shomria!